After reviewing the elegant Van Cleef exhibit yesterday, I wanted to do a wine post with the same sense of refinement. Cognac seems to fit the bill perfectly. Here Terry presents a complete Cognac 101 course on this delicious libation. We start with the explanation and making of cognac, then Terry’s cognac pick with a great back story and finally where to go and what to eat if you are planning a trip to this wonderful area in France. By the end of this post, you will be a cognoscenti on the subject. Feel free to bookmark to have on hand. There is a ton of useful interesting information that you can refer back to whenever needed. Cognac (that ever so delicious after dinner beverage many times accompanied with a tasty cigar) is named after the town of Cognac in France. I enjoy either heating my glass or warming my cognac in the glass over a flame. This process smooths out the Cognac as it passes by the palate. Just like Champagne in France (it cannot be called Champagne unless it comes from within the boundries of the Champagne region) Cognac cannot be called Cognac unless it come from the region of Cognac. Many people will call this caramel colored liquid Brandy, but if it is from Cognac then it is called so. It is produced in the wine-growing region surrounding the town from which it takes its name, in the French Departements of Charente and Charente-Maritime. 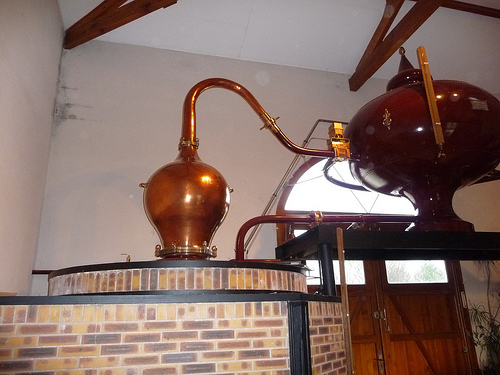 As an Appellation d’origine contrôlée, in order to bear the name Cognac, the production methods for the distilled brandy must meet specified legal requirements. 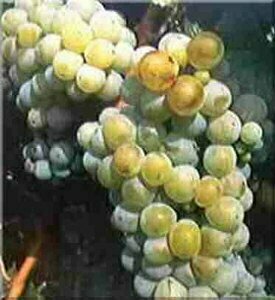 It must be made from certain grapes of these, Ugni Blanc, is the most widely-used variety today. [ It must be distilled twice in copper pot stills and aged at least two years in French oak barrels from Limousin or Tronçais oak from these specific forests. Most cognacs are aged considerably longer than the minimum legal requirement, because cognac matures in the same way as whiskies and wine when aged in a barrel. The region authorized to produce cognac is divided into six zones, including five crus broadly covering the department of Charente-Maritime, a large part of the department of Charente and a few areas in Deux-Sèvres and the Dordogne. The six zones are: Grande Champagne, Petitie Champagne, Borderies, Fins Bois, Bon Bois and finally Bois Ordinaire. A blend of Grande and Petite Champagne Cognacs, with at least half coming from Grande Champagne, is known as Fine Champagne. This is not to be confused with the actual Champagne region in the north. It may be made only from a strict list of grape varieties, if it is to carry the name of one of the crus then it must be at least 90% Ugni Blanc (known in Italy as Trebbiano ), Folle Blanche and Colombard, although 10% of the grapes used can be Folignan, Jurançon blanc, Meslier St-François (also called Blanc Ramé), Sélect, Montils or Sémillon. Cognacs which are not to carry the name of a cru are freer in the allowed grape varieties, needing at least 90% Colombard, Folle Blanche, Jurançon blanc, Meslier Saint-François, Montils, Sémillon, or Ugni Blanc, and up to 10% Folignan or Sélect. After the grapes are pressed, the juice is left to ferment for two or three weeks, with the region’s native, wild yeasts converting the sugar into alcohol; neither sugar nor sulfur may be added. At this point, the resulting wine is about 7 to 8% alcohol. Once distillation is complete, it must be aged in oak for at least two years before it can be sold to the public. As the cognac interacts with the oak barrel and the air, it evaporates at the rate of about three percent each year, slowly losing both alcohol and water Because the alcohol dissipates faster than the water, cognac reaches the target 40% alcohol by volume (which you can read on the label) in about four or five decades, though lesser grades can be produced much sooner by diluting the cognac with water, which also makes its flavor less concentrated. 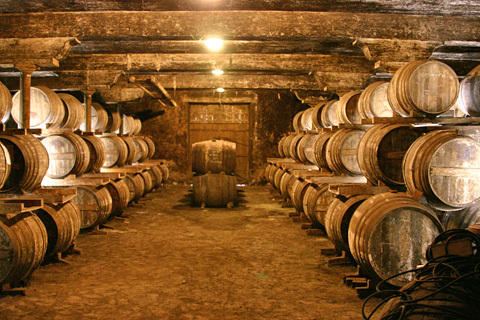 Since oak barrels stop contributing to flavor after four or five decades, cognac is then transferred to large glass carboys called bonbonnes, then stored for future blending. The age of the cognac is calculated as that of the youngest eau-de-vie used in the blend. The blend is usually of different ages and (in the case of the larger and more commercial producers) from different local areas. This blending, or marriage, of different eaux-de-vie is important to obtain a complexity of flavours absent from an eau-de-vie from a single distillery or vineyard. Each cognac house has a master taster (maître de chai), who is responsible for creating this delicate blend of spirits, so that the cognac produced by a company today will taste almost exactly the same as a cognac produced by that same company 50 years ago, or in 50 years’ time. Hundreds of vineyards in the Cognac region sell their own cognac. These are likewise blended from the eaux-de-vie of different years, but they are single-vineyard cognacs, varying slightly from year to year and according to the taste of the producer, hence lacking some of the predictability of the better-known commercial products. Depending on their success in marketing, small producers may sell a larger or smaller proportion of their product to individual buyers, wine dealers, bars and restaurants, the remainder being acquired by larger cognac houses for blending. The success of artisanal cognacs has encouraged some larger industrial-scale producers to produce single-vineyard cognacs. The crus where the grapes were grown can also be used to define the cognac, and give a guide to some of the flavor characteristics of the cognac. The following is a good guide to print out so when looking to purchase a very fine cognac you have a reference point below. Grande Champagne (13,766 hectares (34,020 acres)) Grande Champagne eaux de vie are long in the mouth and powerful, dominated by floral notes. The most prestigious of the crus. “Champagne” derives from the Roman “Campania” meaning Plain. Petite Champagne (16,171 hectares (39,960 acres)) Petite Champagne eaux de vie have similar characteristics to those from Grande Champagne but are in general shorter on the palate. Cognacs made from a mixture of Grande and Petite Champagne eaux de vie (with at least 50% Grande Champagne) may be marketed as Fine Champagne. Borderies (4,160 hectares (10,300 acres)) The smallest cru, eaux de vie from the Borderies are the most distinctive, with nutty aromas and flavour, as well as a distinct violet or iris characteristic. Fins Bois (34,265 hectares (84,670 acres)) Heavier and faster ageing eaux de vie ideal for establishing the base of some blended cognacs. Fins Bois is rounded and fruity, with an agreeable oiliness. Bois Ordinaires (19,979 hectares (49,370 acres) together with Bons Bois). Further out from the four central growth areas are the Bons Bois and the Bois Ordinaires grown regions. With a poorer soil and very much influenced by the maritime climate, this area of 20,000 hectares produces eaux de vie that are less demonstrative and age more quickly. These less prestigious crus are excluded from blends by some smaller boutique manufacturers and are generally used for high-volume production. The official quality grades of cognac are, according to the BNIC (Bureau National Interprofessionnel du Cognac) as follows. You will see these words on practically evey Cognac you look to buy. VS Very Special, or ✯✯✯ (three stars) where the youngest brandy is stored at least two years in the cask. VSOP Very SpecialOld Pale, where the youngest brandy is stored at least four years in a cask, but the average wood age is much older. 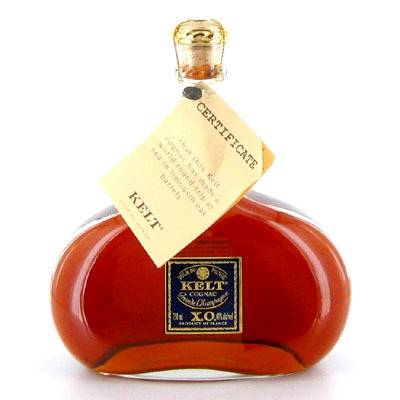 One of my favorite cognacs is the Kelt XO ($159), which has a great story!! Kelt XO Cognac undergoes a “Tour du Monde”–a nautical voyage around the world–as its final step in maturation. Though cognac and other spirits are now generally transported in bottles, prior to the 20th century, they were exported in barrels. Harking back to this tradition, the producer has revived this additional step. They believe that due to changes in temperature and atmospheric pressure, it accelerates and transforms the aging process to create a better spirit. While we’re not sure how much of an effect the oceanic travel has, it’s undeniable that this is an absolutely stunning cognac. A deep mahogany color, Kelt XO boasts concentrated aromas of caramel, candied citrus peel, fresh herbs, and pepper. The palate is medium-to-full-bodied, with a rich texture and a notably evolving finish; this is a spirit to sip and contemplate. Each bottle comes with the history of the ports that it has travelled through. The decanter is not only a great gift but is delicious!!. 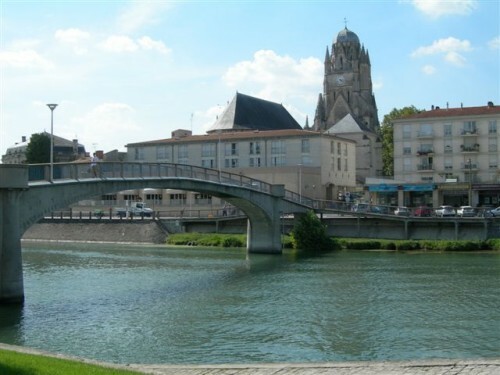 Poitou-Charentes is one of France’s best kept secrets: a sunny and serene land of green meadowlands, sandy beaches, pine forests, romantic marshlands and Romanesque churches overlooking a luminous landscape of cognac vineyards. Poitou-Charentes is a region whose unspoiled treasures and timeless rhythm welcome its visitors with Old World charm. Linked to the mainland by a toll bridge, the island is surprisingly flat. Whitewashed houses with green shutters, narrow little streets bordered with bright hollyhocks, long fine sandy beaches, colored church spires rising from villages and harbors, salt pans that form as patchwork of watery fields, make the island a paradise for holidaymakers and a haven for cyclists. My suggestion is you cycle first and sample later!!! In Poitou-Charentes Cognac country, the traditional dishes of the country and “la grande cuisine” in town are not so very different: they both use the freshest local ingredients. From the simplest to the most refined, restaurants offer a modern gastronomy inherited from regional recipes. World famous eau-de-vie Cognac is made in this region and this palatable brew is present in most recipes. 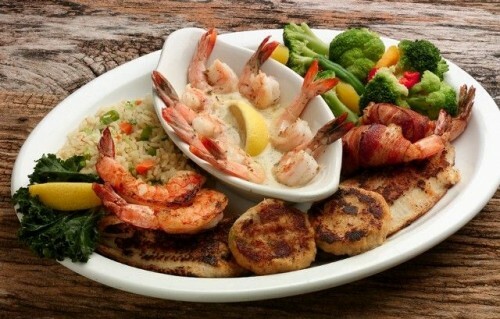 Variety and quality are the secret of the regional products. If you are determined to sample seafood as fresh as can be, Poitou-Charentes is the right region since its coast overflows with bounty: a great variety of fish: sea-bass, dover sole, mullet, halibut, frog fish, skate, sea bream, scallops, clams and of course mussels and oysters ideally from the Marennes-Oleron beds, the only oysters in France with the distinctive Red Label. Do try “ceteaux” a local favorite grilled or pan fried with lemon and butter: they are small soles carried by the tide from the open sea round the ile d’Oleron and are only to be found in this region. 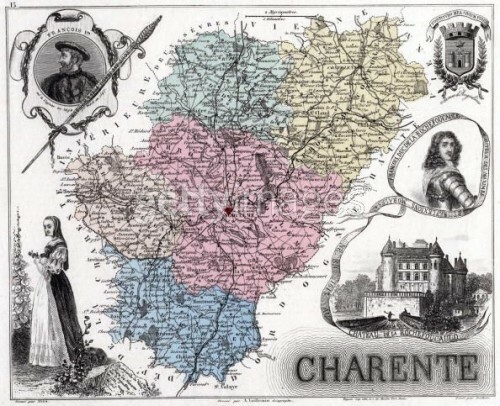 Everyone is aware that the best butter in France comes from the Charentes. For over a hundred years, regional milk production companies have remained faithful to a traditional production. Also famous are the local goat cheeses. Poitou-Charentes offers numerous and very tasty kinds and the different ways cheeses are refined, their degrees of maturity, their origins will have you enjoying their flavor at the end of every meal. The rich, thick grasses and a temperate climate generate cattle breeding and explain the quality of the meat produced in the region. Poitou-Charentes lamb is a farm meat, with well marbled, well balanced and light flesh. The Parthenian race is a beef race coming from a long tradition of stock-rearing; its “top of range” meat with appetizing color is juicy and tasty. The people of Poitou have remained keen on kid, which is prepared with green garlic and sorrel. Also pork remains a traditional product and is accommodated in recipes combining the locally produced wines. 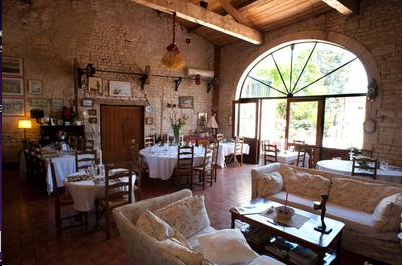 A lovely place to stay in the region is the Karina Hotel, only 20 minutes from Cognac or an hour from Bordeaux. A renovated former Cognac distillery, it dates back to the 1700s. The building is classic and the fois gras at the restaurant might possibly be the best preparation you have ever had. Thanks Terry – I think you should run a trip to Cognac – I’ll bet you’d have some takers!! This entry posted in food and drink, garden, holiday, wine. Entry Tags: Cognac 101, Karina Hotel Bookmark the permalink. 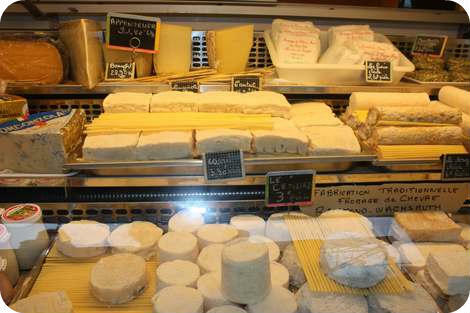 Poitou-Charentes looks like a delicious place to visit! I’ve never been a cognac drinker but am definitely intrigued now! 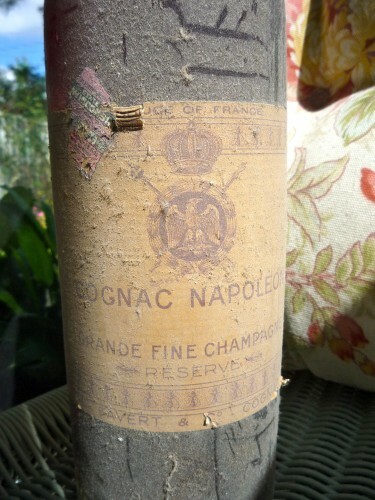 What a most interesting post about Cognac! I could pack and go to that beautiful region!! I’m with you to hop on a plane to Cognac. I have a producer from Tesseron that also owns Ch. Pontet Canet in Bordeaux and he is always inviting us over to Cognac and Bordeaux since they are so close. May add it to the travel list in the fall. The food in Cognac will be stunning!! I would certainly hop on a plane for a Cognac adventure. Thanks to Terry for another super-smart post! Terry’s the best! There is so much information for this topic, here we are considering doing a little addendum for the weekend with some more picks etc. I am now a bit enchanted with the thought of visiting Ile de Ré, who wouldn’t be with the temptation of butter, cheese and bicycling? I am anxiously awaiting the next jewelry post! 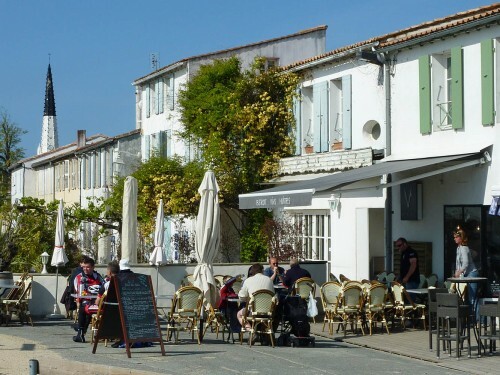 Jeanette – I have actually always wanted to go to Ile de Ré. I find this whole region enticing!! I am hoping to post jewelry part deux on Monday – I have an exciting interview with it!! This is a fabulous primer, only better because of all those photos! Just beautiful! Thank you fors haring some of the background, in many ways! May you enjoy a delightful day! I think Terry definitely needs to put together a trip. What a fun time for couples! I know my husband would love it! 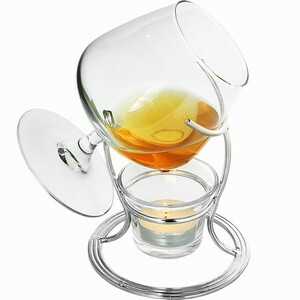 And, that Kelt decanter looks like a great gift for a lot of men I know. And, I’ll remember….warm the glass! Thanks, Terry. Such interesting information. You may think I am crazy but have you ever slightly microwaved a glass of cognac. Someone gave it to me like that after a dinner party in Paris and it was delicious. Wow, this was really fascinating! Will definitely be bookmarking. Cognac always reminds me of my grandma. She is a big fan of very long walks and I remember being a little girl and returning totally frozen from snowy walks with her and drinking hot chocolate (me) and Cognac (grandma). The reason I remember it so well is she used to always say “time to warm up the heart” as she would set out our drinks, and would sip it so daintily out of a little cordial glass (she is so cute)! Now every time I serve Cognac I say “time to warm up the heart”, can’t help it. I hate to admit but Cognac is a libation that I knew little about. So, your post was very appreciated. Kelt’s ‘Tour de Monde’ was interesting & it reminded me of a brewery in Scotland that did much the same with casks of beer as an experiment saying too that the changes @ sea effected the outcome of the brew. I do think working for a distillery, brewery or winery would be a fabulous career, especially if one could live in France! Fabulous post and always a great education. Thank you! You have grabbed my attention today! I am a cognac drinker, especially in the winter. I love to warm it. This Poitou-Charentes is such a beautiful place. So much interesting information, and what a beautiful area…will have to add this to my ever growing list…thanks! It amazes me the care that goes into making booze! We have the Jack Daniels distillary just down the road and have been on the tour numerous times…boy there is a lot of time put into making whiskey! I had no idea that cognac required copper AND special oak barrels. Amazing! Your posts are always informative. I loved reading about cognac, as I actually knew very little about it, like it’s name at it’s location in France. So interesting. I loved reading this article, so interesting! I have been planning on making it back to Bordeaux and now need to check out the Cognac area while I am there! 80 queries in 0.613 seconds.